Ever since ‘Cheat India’ was announced, there has been much curiosity about the film. 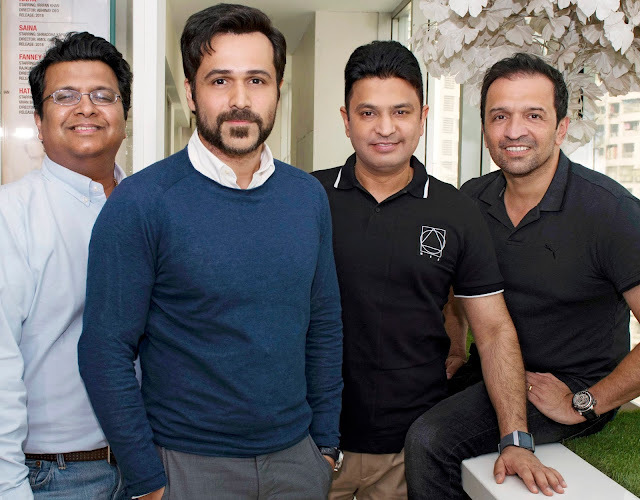 Also because Emraan Hashmi, who is also debuting as a producer (with T-Series and Ellipsis Entertainment), has not been seen in a film which is as stark and real as ‘Cheat India’ and in a raw, Indian heartland milieu. Emraan ensured that he made sure his son, Ayaan, opt for a different curriculum where there is no encouragement to learn-by-rote (mugging) but a focus on the development of social skills, discipline and responsibility. Bhushan Kumar, Tanuj Garg, Atul Kasbekar and Emraan Hashmi are producing the drama, based on real incidents, which is set for a 25 January, 2019 release. Soumik Sen is directing the film, which is under production in U.P.